Since our humble beginnings in 2010, we have upheld our mission to provide homeowners with comfort and quiet while helping achieve financial and environmental harmony. Now that the end of the year is approaching, it is a great time to reflect on our most exciting moments this year in preservation and sustainability. This is all thanks due to our wonderful team, our talented dealers, and most importantly – the homeowners who agree it is time to take action in preserving their windows! 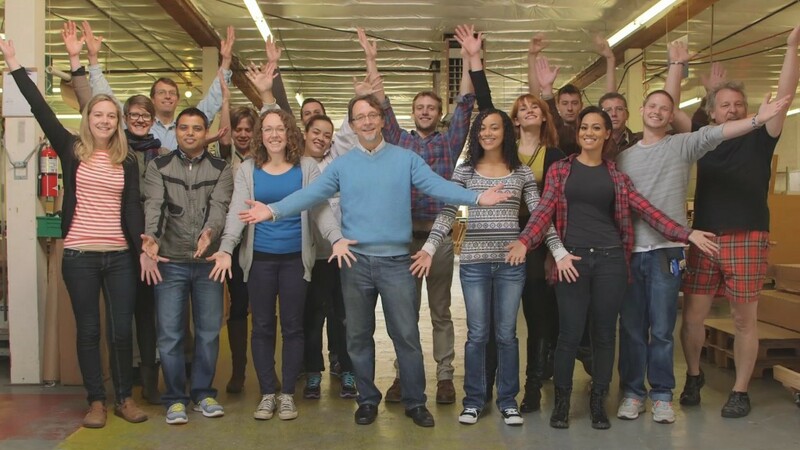 We entered the Intuit Small Business contest in hopes of winning a slot at a national commercial to tell the nation about our message. We unfortunately did not make the cut, but we did create something we think helps tell our story and builds community. Everyone loves a fun contest! Our annual Play Contest is a way for us to extend free Indow Windows to homeowners in need, as well as some other fun goodies. Check the contest page for full details. 8. Important Historic Windows saved! Too often building owners mistakenly think they are doing the right thing, or don’t even know other great options exist. Too often we lose more historic windows.. but not at Bowdoin College or the Oregon Governors Mansion, or several other builds we were able to assist! Each of these projects is a unique story of windows that were in need of insulation and at the end of their options when it came down to deciding to replace or renovate. The solution of Indow Windows was certainly a perfect fit, and we are happy to have had a hand in the building’s preservation. Jelica Summerfield – Marketing Associate. Connects with historic and sustainability organizations all over the country. Sharay Thornton – Manufacturing. Came up with a new technique on the line to save time and resources. Shiva Nepal – Accounts Payable. Keeps our lights on! Carrie Sturrock – Company Storyteller. THE master for spreading our vision of preservation and sustainability. Brianna Warren – Administrator. Connecting our customers with dealers nationally in order to get homeowners comfortable. Zac Markgraf – Manufacturing. Not only helps with the line, but opened a bike service shop for employees who ride to work. Sean Lai – Manufacturing. Helping us quickly churn out those orders this winter! 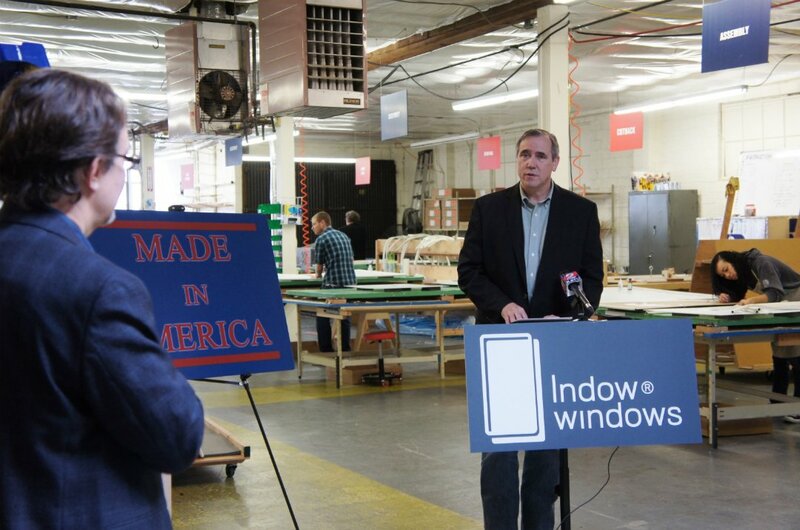 Senator Jeff Merkley toured the Indow Windows factory as part of his Made in America tour. Merkley is the lead sponsor of the BUILD Career and Technical Education (CTE) Act and Job Creation through Energy Efficiency Manufacturing Act and he’s co-sponsor of the Made in America Manufacturing Act. 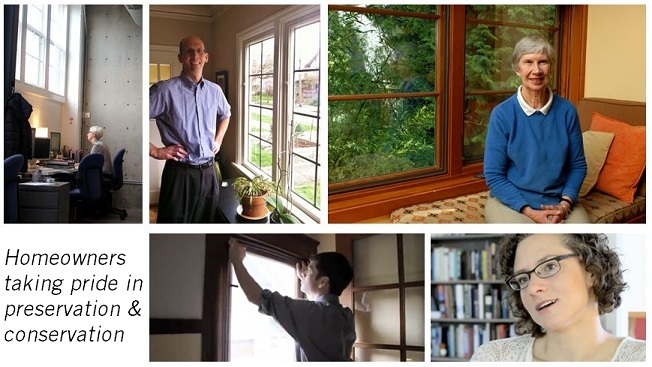 Indow Windows make people comfortable by eliminating cold drafts and reducing energy bills. But we also provide the comfort of this: knowing that buying Indow Windows supports jobs here in the United States, which makes us stronger as a nation! 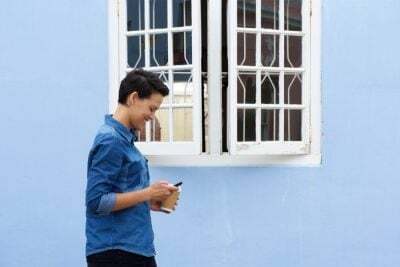 Each Indow Windows client is someone who has taken a step in making their home energy efficient, while preserving their windows. This community of homeowners is continually growing, and we are happy to be creating a social media platform for their voices to be heard. We have more than doubled our social media followers in 2013 and are now at 1240 likes on Facebook! The community of sustainable minded homeowners who care about preservation is continually growing, and it feels great to be fanning the fire. 4. We now service 30 states and have gone international! We attained silver in 2012 with 30 actions to make our business sustainable, but we attained gold after completing 45 action items! 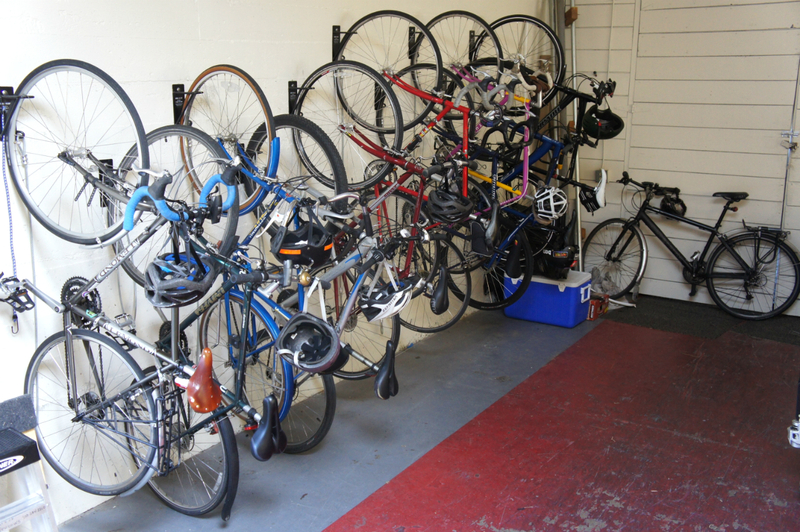 It’s fantastic to come into work each morning and see the bike rack completely full. It’s inspiring to see employees conscious of when lights should be on and off. Most importantly.. it is so much warmer in the office this winter now that we have Indow Windows installed. leep during the day. What we did not expect was that Paleo Dieters took to this idea as a way to make their bedrooms into a dark cave, enabling them to get the best sleep [and health] that they were looking for. Bloomberg Business Week ended up picking up an article about it, and our customer inquiries grew. When Michelle Tam of Nom Nom Paleo finally received her blackout windows, she said “Nightshift workers! 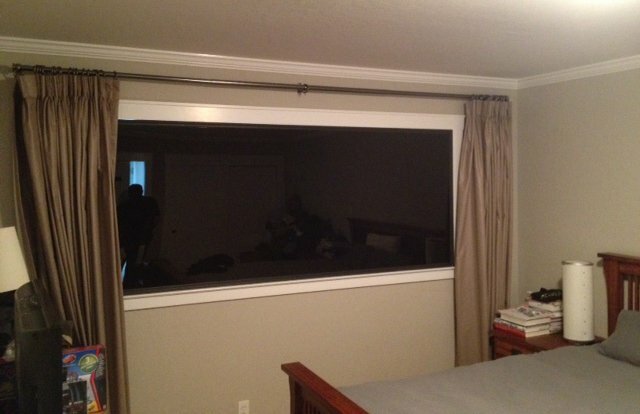 A complete pitch black room can be yours with an Indow Windows blackout window insert. 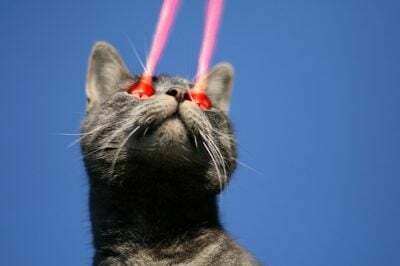 I just had one installed and it’s AMAZING. I’m the happiest zombie on the block.”. It feels great to be assisting so many homeowners in need of sleep and a healthier lifestyle! 1. 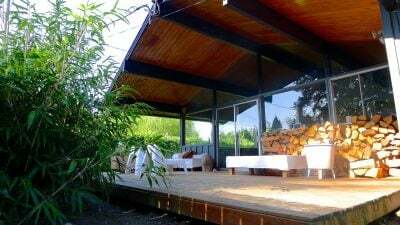 PSU Report Released: Indow Windows save 20% on energy bills! 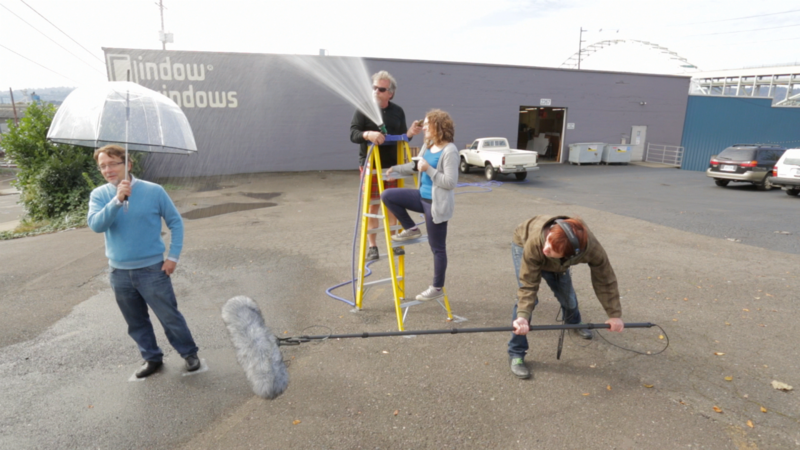 After a year-long pilot study with PSU’s Green Building Lab, Indow Windows were shown to save an average of 20% on homeowner’s energy bills. This was our biggest and brightest accomplishment of the year, because it proved our mission in sustainability is working. 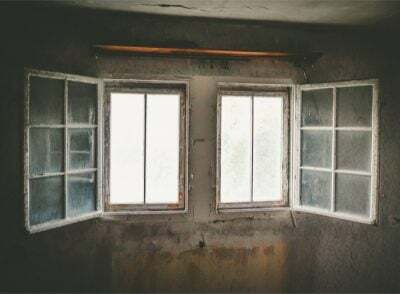 Did you know that there are still a billion single pane windows in the United States? That 42% of our housing stock still has single pane windows? That buildings are the largest consumers of energy in the United States and windows are the number one source of energy loss from buildings? Thanks to everyone for helping our mission in 2013! We are looking forward to making bigger strides in preserving more buildings and increasing energy efficiency in 2014!